If you own property, have financial assets, or have a family, then we usually recommend that you prepare a Last Will and Testament to protect your assets and ensure your property passes they way you wish. If you have questions about preparing a Will and want to feel assured that your assets and family will be cared for, give Ronda Haynes, our estate planning attorney in Azle, TX a call today. The person is a member of the armed forces of the United States. According to Texas state law, the testator of sound mind may determine how all of their estate, rights, titles, and interest in property are appropriated at the time of their death. This means that your Will can account for changes in assets between the time of the last written Will and the passing of the testator. A testator also has the ability to disinherit an heir if they so choose. In the state of Texas, a Will must be written, signed, and attested. Aside from a few exceptions, a Will must be made in writing and signed by a testator in person or another person on behalf of the testator under the direction of the testator while the testator is present. The requirement for a Will to be attested may be removed when the testator completely writes the Will in his or her own handwriting. This means from start to finish, the entire Will must be written by his or her hand without assistance or use of any other medium. If a Last Will and Testament was executed in compliance with the laws of the foreign country in which the Will was executed at the time of its execution or the testator was a resident in that foreign country at the time of their death. A self-proving Will is one that includes a self-proving affidavit subscribed and sworn to by the testator and by two witnesses that sign under penalty of perjury that they personally viewed the testator sign the Will and that he or she said that it was their own Will. So long as no one contests the Will, it can speed up the process of probating the Will. Self-proving Wills may however, be contested in the same manner as a Will that isn’t self-proved. 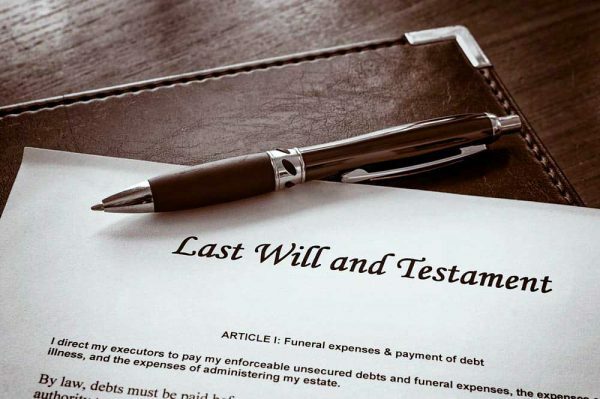 If you value your life’s work, properly preparing a Last Will and Testament in Texas with a trusted estate planning attorney is the best way to ensure that your assets are distributed correctly when the time comes to probate the Will. The Law Office of Ronda S. Haynes is ready to receive your call at (817) 752-2177 and assist you in properly preparing a customized Will to meet your needs.